While everyone is running around flashing diamonds on their fingers, we have become inspired to tell our own love story. No. Not one about some boy capable of making mistakes and trying to survive off pizza rolls. But, a love story revolving around intricate layering pieces that provide you support, even during the playoffs. It can all be rooted back to that sweater with a deep-v we felt was a little scandalous for work. The solution was found with just a few clicks, landing us on the New Arrivals page of Buckle.com. So I guess you could say we met online. It really just took off from there. 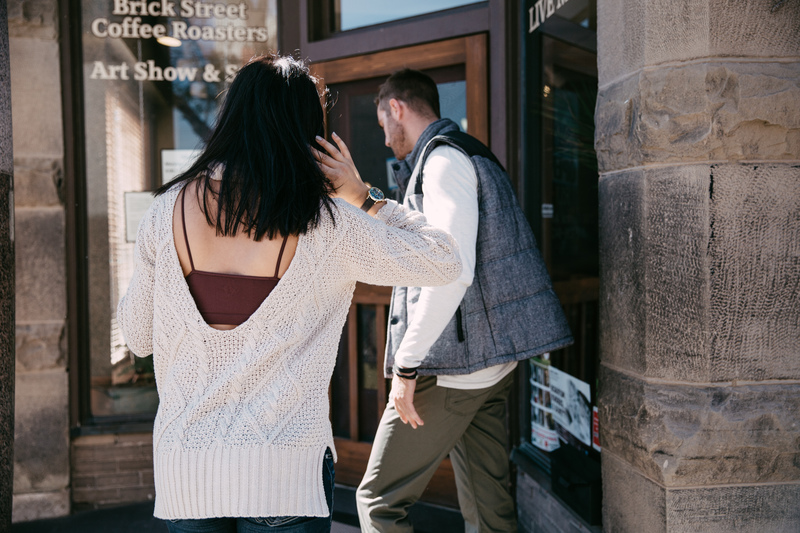 Lasting through the winter, adding the missing detail to our already favorite sweaters and thermals, and then carrying us into spring and summer under our favorite strappy, breathable tanks. Friends were soon asking questions, and finding bralettes of their own. It was.. well, great. What has made the relationship work is really the versatility of bralettes. Straps, lace, laser cut and racerback. Offering just enough support and ultimately pulling in another element that we secretly wanted all along. Bralettes might actually make us a better person, a little more easy-going, a little less self-conscious. That’s a thing people say, right? In the very least, they made this sweater better. And since that’s what we managed to fall into this morning, that’s enough for us.